High Speed Rotary Capping Machine CR-415S is versatile monobloc starwheel based, fully automatic capping machine which can be customised to suit the application. 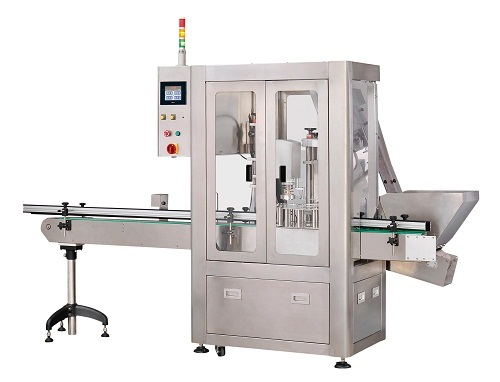 It can be integrated into an existing line or supplied as a self contained unit with in-feed, out-feed systems and conveyors with options for filling, plugging, capping and many other features. The above specifications are subject to change without prior notice.